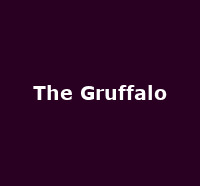 Tickets for the Garrick Theatre's The Gruffalo at 20% off until 16th Jan 2011! Appearing in the West End for another Festive adventure is Julia Donaldson's fabulous "The Gruffalo". After touring the UK earlier this year with shows in Birmingham and Manchester, the big scary figment of a mouse's imagination is back in the capital for a limited season at the Garrick Theatre, running until 16th January. The story follows Mouse's journey through the woods and his over-active imagination - in order to scare off hungry animals, he kids them into thinking there really is a Gruffalo, a terrifyingly scary monster. So far, so good because all the animals believe him up until he confronts what he has been imagining all along - it's just possible there really is a Gruffalo. For a short period only, you can now see this charming children's show at a reduced rate before and after Christmas, making it the ideal gift for the whole family. Performances are limited and selling fast! The offer is: book selected tickets for The Gruffalo for just £11.99 instead of £15. Click the 'Book this Offer' button, below, for availability.